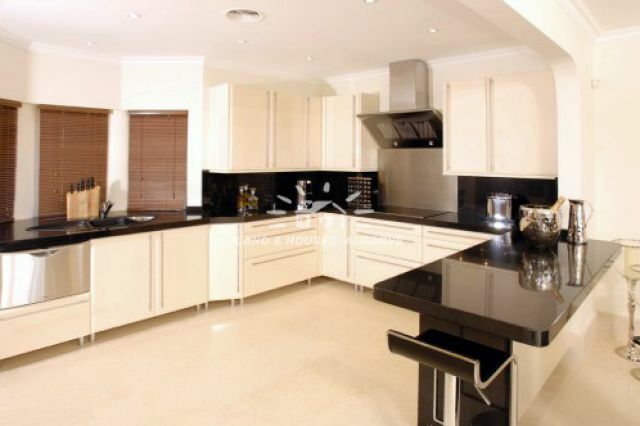 This villa is the largest of the four properties that are located on this small luxurious development. 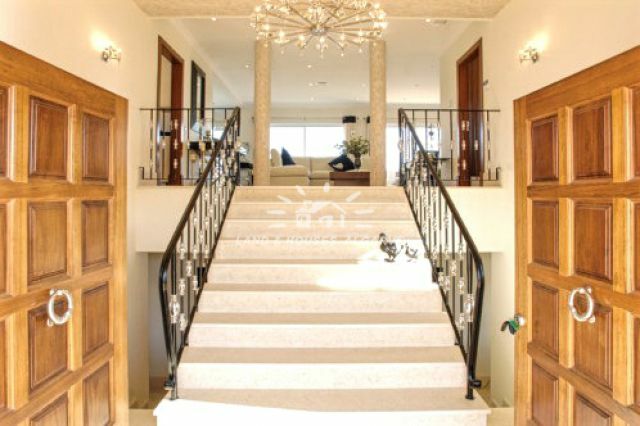 Laid out with the main living areas located upstairs the entrance way is simply stunning with hardwood double doors opening onto a sweeping and dramatic staircase. Leading you up to the spacious open-plan living area. 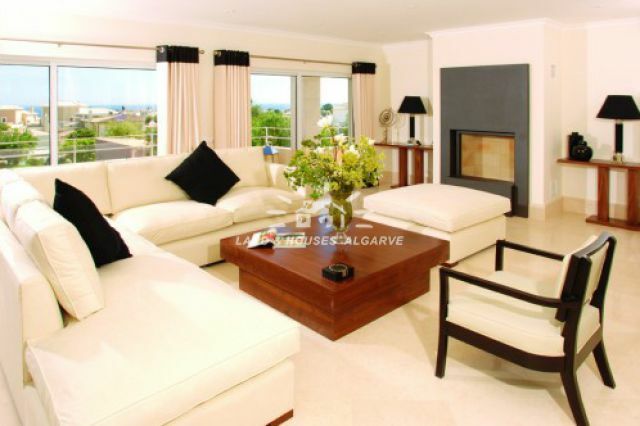 With a generous upper terrace it affords attractive views over the town and to the ocean. The perfect place to entertain guests or just sit quietly and enjoy the sunshine. A true place to unwind! Here the master suite is located on the first floor with en-suite bathroom and dressing area. The other 3 bedrooms are located on the ground floor, all with fitted wardrobes and en-suite bathrooms. All have access onto the semi-covered terraces and garden area. A perfect house for those with families or who frequently entertain guests and located on a small and exclusive development less than 2 km from the centre of Praia do Carvoeiro. Whilst close to all amenities, this small Estate offers both space and privacy with each property surrounded by spacious grounds and sub-tropical gardens. 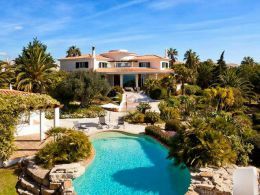 The Villa has been carefully designed to offer the best of the best of Algarve living throughput the year featuring large covered terraces and high quality construction and finishing throughout!